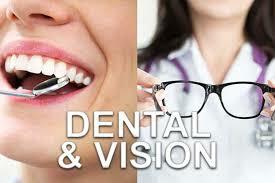 Vision insurance is included with your UCT dental plan ($150 every 2 years, per person), but if that's not enough coverage for you or your family, then you can click the link below to run a stand-alone vision insurance quote from VSP, which is widely accepted by optometrists in most areas. VSP's plans cover optometrist visits, contacts, lenses, frames, and more. You just pay small copays for the visit, the frames, the lenses, or the contacts. For a quote on this stand-alone vision insurance plan, click here. You'll be glad you did.